Ana Iorga is a savvy consumer neuroscience expert that has a passion for bringing science to marketing. She has over 9 years of experience as an advertising professional and entrepreneur, leading a full-service advertising agency. In 2012 she founded Buyer Brain, a consumer neuroscience research lab. 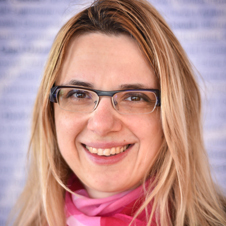 Ana is a Medical Doctor that holds a double MBA degree in Marketing and Finance from the University of Ottawa & Bucharest School of Management and is currently a PhD student in consumer neuroscience with the Bucharest Academy of Economic Studies. Her unique skill set, derived from her academic medical background and marketing expertise, enables her to have a thorough understanding of the subtle influence of brain functions on consumer behavior. Ana is a member of several advertising and marketing associations, including TAAN, one of the oldest advertising networks and Neuromarketing Science and Business Association (NMSBA). She also serves as editor for the NMSBA’s quarterly Neuromarketing Theory & Practice.